The Super Eagles jerseys for the Russia 2018 world cup which was released for sale yesterday by Nike has been sold out. 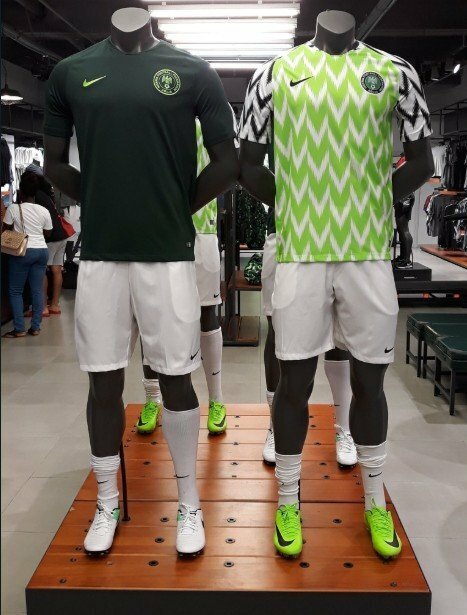 Right before its release, Nike said about 33,000 of the kit were booked from Nigeria with the purchase price being N41,000 for either the home or away jersey. 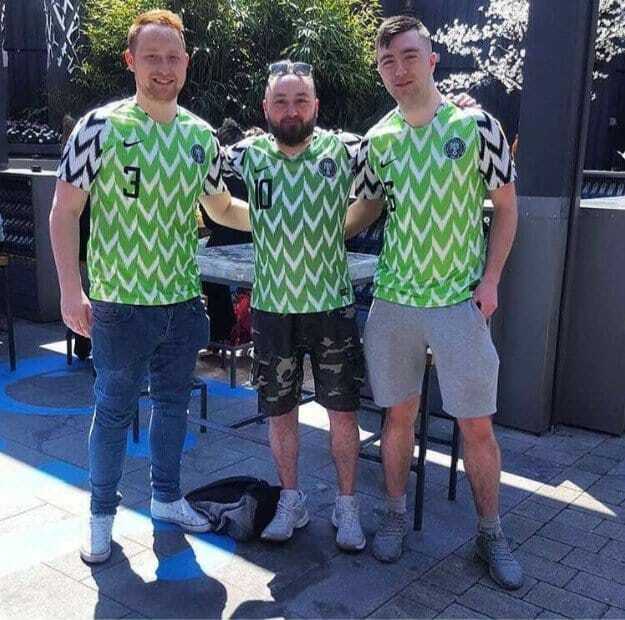 However, shortly after the launch for sale, a queue made up of different nationals were seen in front of Nike store in central London to purchase their own copy of the jersey which has been named the best for this year’s world cup. Before noon, the kits were announced to be sold out with Nike not hoping to restock. 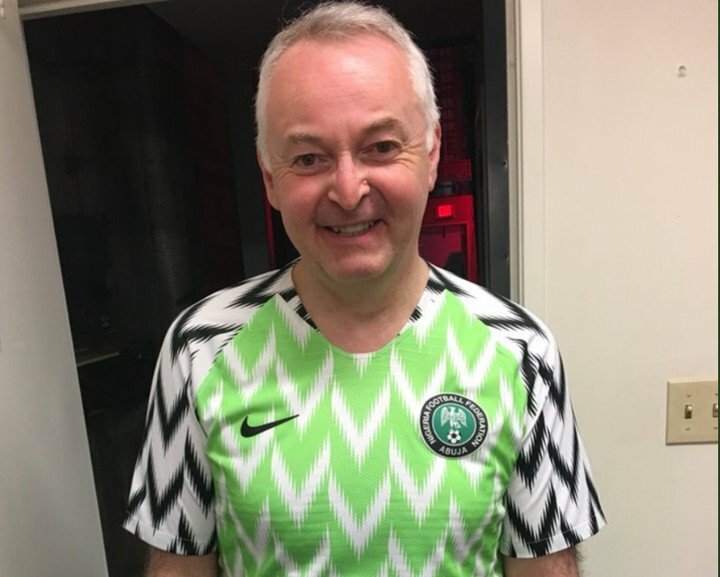 Many Nigerians are wondering why a kit meant for them is being launched for sale in London while they can’t find a store in Nigeria to obtain one. They even complain about the delay in launching the kit which has led to the counterfeit flooding the Nigerian market. Few days ago, one of those selling the fake jerseys in Nigeria was interviewed by BBC. He spoke of the gains he was making. The counterfeit can be gotten for as low as N4,000. Many Nigerians, even those who can afford the original at its expensive price, have resorted to wearing the fake which really doesn’t look much different from the original. This is due to the delay Nike took in launching the sale and also not launching in Nigeria. 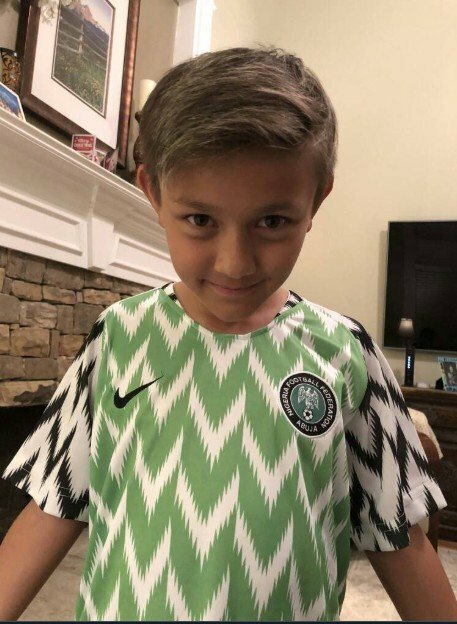 Below are pictures of some foreigners rocking the Super Eagles jersey. Who witnessed today’s lunar eclipse?